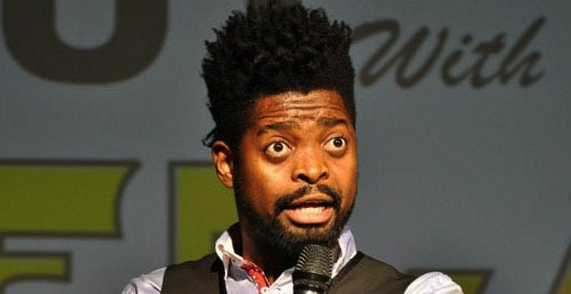 Popular Comedian Basketmouth has promised never to make negative jokes about the Nigerian Police Force again. Basketmouth made the promise on Friday while picking up his mobile phone which was stolen during the robbery incident at his home last year. “I want to thank the Nigeria Police for a job well-done. I thought I will never see again the items stolen from my house,” BasketMouth said. “It is amazing that with two weeks of the robbery attack, the suspects were arrested, my handset recovered. I usually make negative jokes about our police, but with this performance, I will never use them for negative jokes. I advise members of the public to always support the police. ''In western nations, it is the public that assist the police for information against criminals,” Basketmouth said.